Is our blog site up to date with issues, updates and fixes? This method prompts you at the command line to adjust the datum by a value. You enter a value and nothing happens. 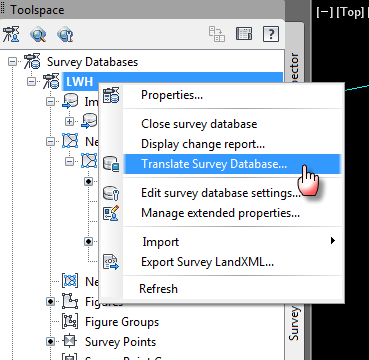 This is because it’s in a survey database, hence, the reason for a survey database. 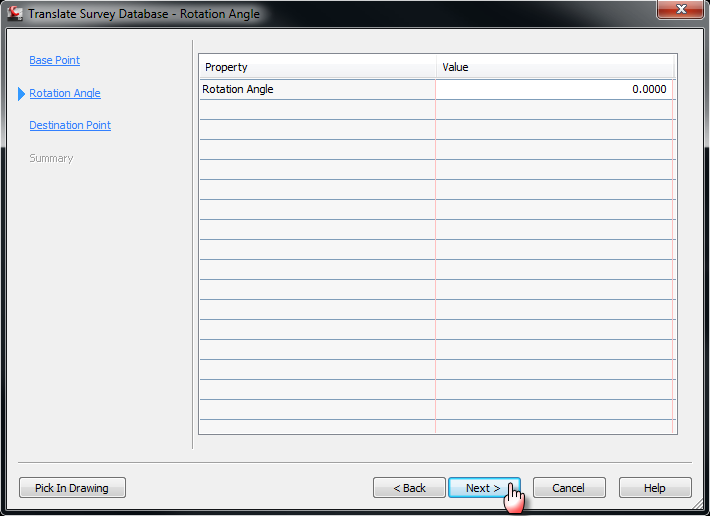 I’m going to walk you through the correct method in adjusting elevations in a survey database. First you will need to pick a point as to which to do your adjustment from. In this case we are going to use point number 504. 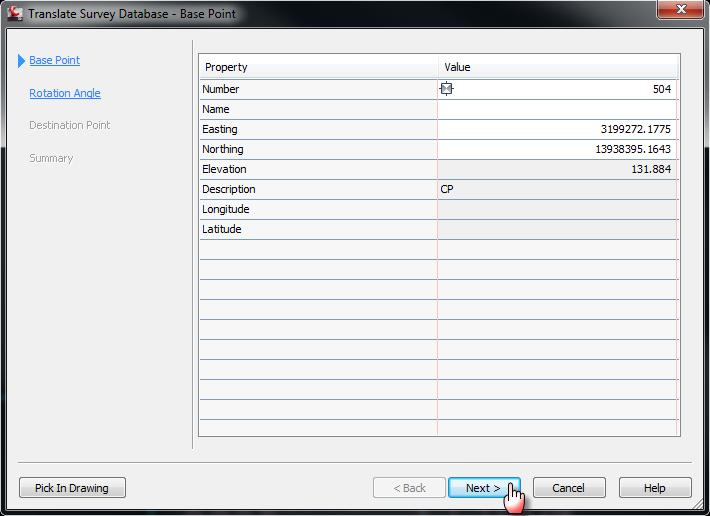 Notice the elevation for point 504 is 131.88. 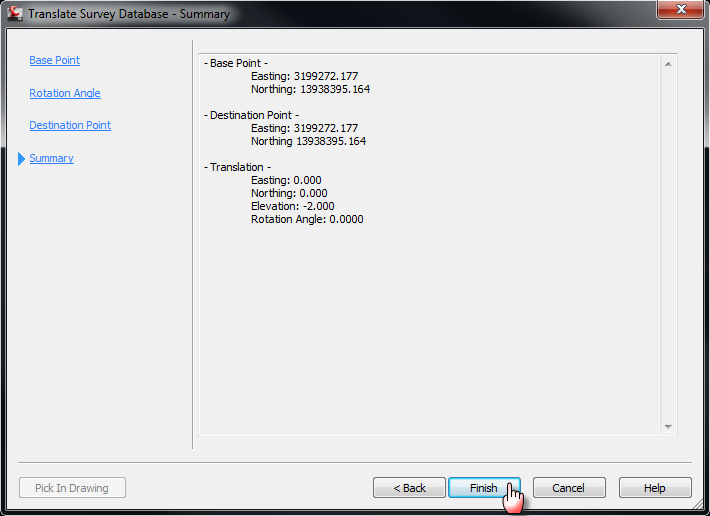 As you can see in the image above, once I hit the Enter key, it populates the Northing, Easting, Elevation and Description. Click Next. 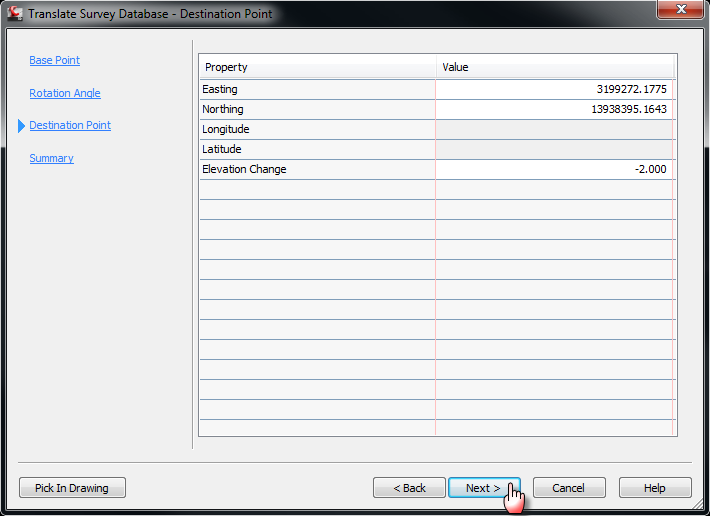 The next page prompts you for a destination point and elevation adjustment. We are ONLY concerned about the elevation. Here we are going to enter –2.00. This will adjust the points down. If you want to adjust them up, then you will enter a positive value. Click Next. The last page is a summary of the values we just entered. Keep in mind that this adjusted ALL my points –2.00 feet. Everyone have a Merry Christmas and Happy New Year. I will see you in 2012!!! Sorry for the late update on the update. I have been out training quite a bit lately. 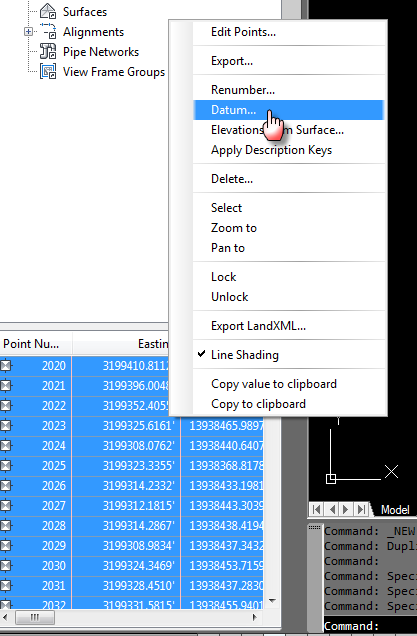 For you that are using the Autodesk Infrastructure Modeler, they have released an Update for the software. I, personally, have not found any issues with the software. But, supposedly this fixes some issues.